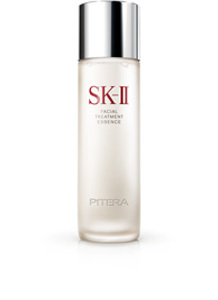 A rich formula of Pitera™ and Apple Seed extract that deeply cleanses pores and effectively eliminates even the most stubborn makeup, mascara and sunscreen. 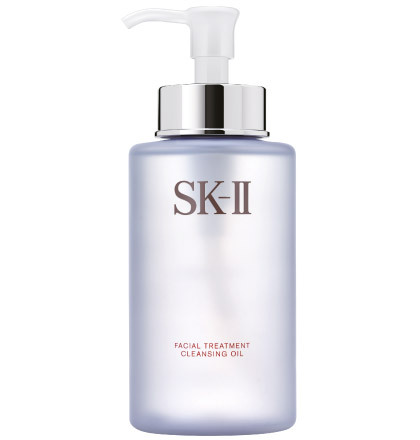 This 2-in-1 cleanser and makeup remover leaves skin clear and radiant. Recommended for combination to oily skin types. A light formula to gently remove makeup. Ensure that your face and hands are dry. Pump 3-4 times onto palms and massage all over your face in continuous circular and outward motions for 2-3 minutes. Emulsify the oil with a small amount of lukewarm water. Rinse off with lukewarm water. Use every night before moisturizing or when deep cleansing is needed. Mineral Oil, Isopropyl Palmitate, PEG-20 Glyceryl Triisostearate, Water, Sorbeth-30 Tetraoleate, Phenoxyethanol, PEG-8 Diisostearate, Butylparaben, Ethylparaben, Galactomyces Ferment Filtrate, BHT, Propylparaben, Sodium Benzoate, Hexyldecanol, Phenethyl Alcohol, Rosa Canina Fruit Oil, Butylene Glycol, Pyrus Malus (Apple) Seed Extract, Glycerin, Methylparaben, Moringa Pterygosperma Seed Extract.